Derby County have been told they must improve their offer for Peterborough striker Jack Marriott. Posh chairman Darragh MacAnthony says Marriott, scored 27 League One goals last season, has had his “head turned” by the interest. “He’s told me the figures that have been mentioned and it’s life-changing compared to what he’s on. Of course he wants to go,” MacAnthony told the Peterborough club website. 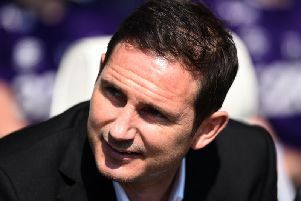 A trio of players have joined Derby this week, with Florian Jozefzoon, Mason Mount and Harry Wilson the first players to sign for the new Rams boss.